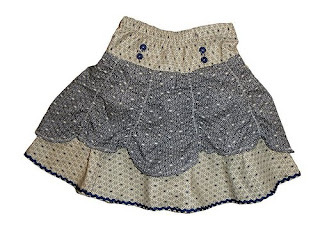 I love this cute pattern - the "Insa skirt" - by Farbenmix. 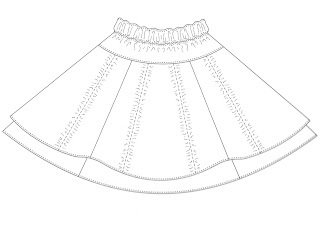 The design, with layering and ruching, reminds me of a princess skirt. It makes an excellent twirly party skirt. 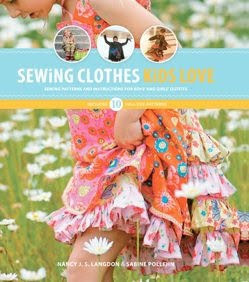 The pattern is available individually or as part of the book "Sewing Clothes Kids Love" [Langdon & Pollehn, 2010 Creative Publishing International]. 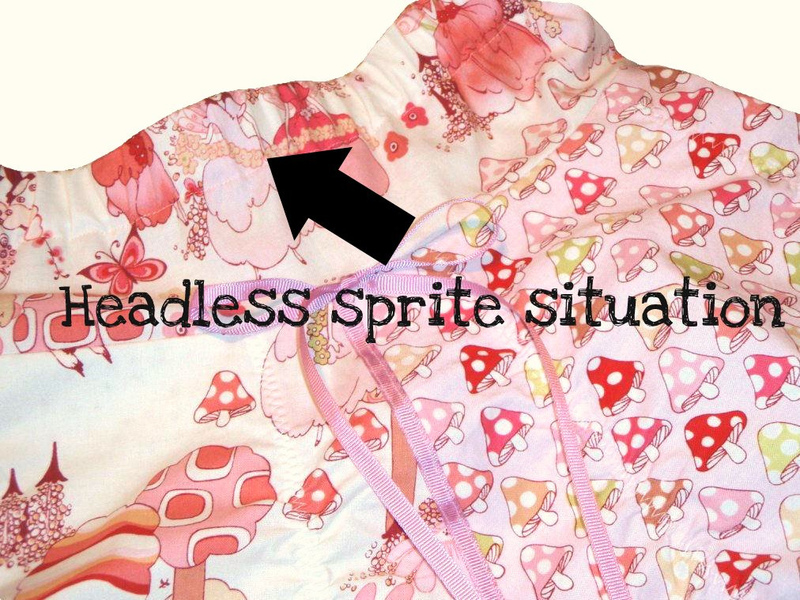 I've made this skirt once before using a dreamy pink fairy print, called the Sprites of Tillbrook. Regretably due to a lack of forethought about print placement, I decapitated some of said sprites. I'm not sure about the wearer, but personally I still haven't recovered. 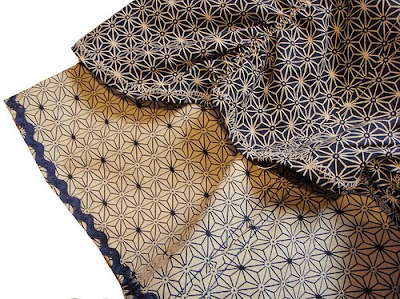 For this version I stuck with less risky Japanese sashiko stars in indigo and taupe. There's only just so much of a mess you can make with a bunch of stars. * "A little while ago" may mean "10 months ago"
What a great pattern HB - crap I now need to add this book to my ever increasing wish list. P.S. never took you for a sprite killer - am a little shocked! 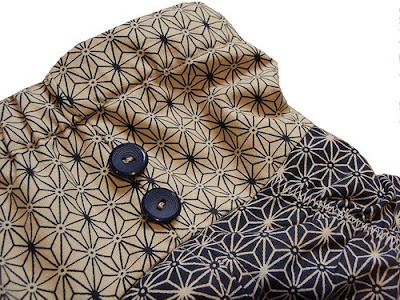 Cute skirt - nice sashiko pairing! The skirt looks lovely...you've sold me on this book (and I have been trying not to buy more sewing books), but there's a little Miss here that would love a skirt like that! I love your fabric choice, I've made this skirt a few times too as well as the trousers from this book - one of my favourite for kids patterns - fully getting my $ worth out of it.